Even when I was a child, for me to declare a book a favorite was a huge honor. I was a voracious reader and even skipped the library's reading club party to try and finish more books than another girl. (I lost by one book.) I would sometimes do nothing but sit and read all day in the summers. I didn't realize what a luxury that was, but now I long for those times. I can, however, revisit childhood favorite books. Katie Kittenheart by Mariam Mason. This is the sweet story about a girl who wants to be a teacher someday. That someday comes sooner than she expects as she has to watch over the lower class at school during a flood. Obviously, this would never happen today, but as a child of the 1980s, I felt it could have happened during the time period in which it was set. 100 Pounds of Popcorn by Hazel Krantz. This is a funny story about how some kids find a big bag of popcorn and they decide to go into business. I always had a fantasy that I would find something this cool and this fun to do at the start of some summer vacation as the days tended to get so long with little excitement as most of my friends didn't live near me. The Toothpaste Millionaire by Jean Merrill. This is another book where kids go into business. I was a bit of an entrepreneur even as a child, and I loved reading about kids who started their own business. Now there are children who really have, but when I was growing up, it was something I had to dream about and think that someday I might be able to own a toothpaste factory -- or a 100 pound bag of popcorn. Any of Beverly Cleary's Ramona books. It's hard to pinpoint which one is my favorite as they all seem to run together in my mind as I read them so much (at least once a year). I do know I checked Ramona Quimby, Age 8 out of the library the most often of any of them, so I guess that would have been my favorite. Ramona's World was published once I was an adult and I was disappointed to see they watched soap operas in that book. I didn't care much for the Laura Ingalls Wilder's books when I was growing up. In fact, I'm not sure I even read them all. I received them as a Christmas gift one year because I loved the series that began with In Grandma's Attic. This was a Christian series that focused on two girls who were best friends. The best part is they are based on true stories. It almost feels like Sarah Jane and Mabel were childhood friends of mine because I was so enraptured by their adventures. My favorite story ever was when they made the facial mask from Goody's Lady's Book. If you want to read a portion of In Grandma's Attic, you can do so here. This is a Wednesday Five Favorites post. I'm linking up with Ashley over at The Big White Farmhouse. 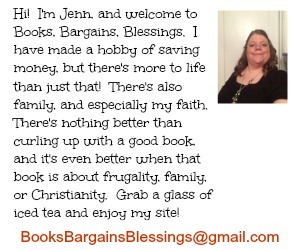 Feel free to stop by and see what others are talking about today! Oh wow. You should check out Katie Kittenheart, the Ramona books, and the In Grandma's Attic series books now. 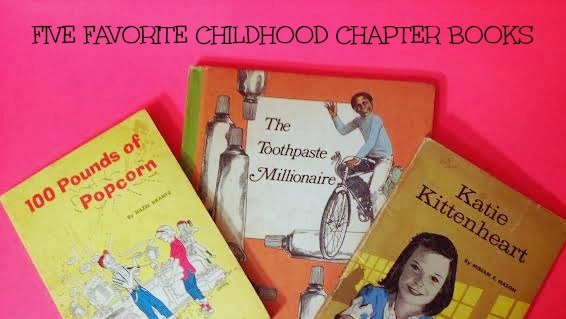 There's nothing wrong with an adult reading some good children's chapter books. I read several a year. The Grandma's attic books would be great as bedtime stories when she's a little older. Thank you for your recommendations! I am going to check these out! Please let me know if you read any of them and what you think! I'd love to find out if someone else discovers the love for these that I have! I read some of In Grandma's Attic as an adult, they are fun books.